In the CCTV footage, Mumbai man can be seen jumping off his seat, throwing away the phone from his shirt's front pocket. Phone explodes in a man's pocket in Mumbai. He sustained minor injuries. 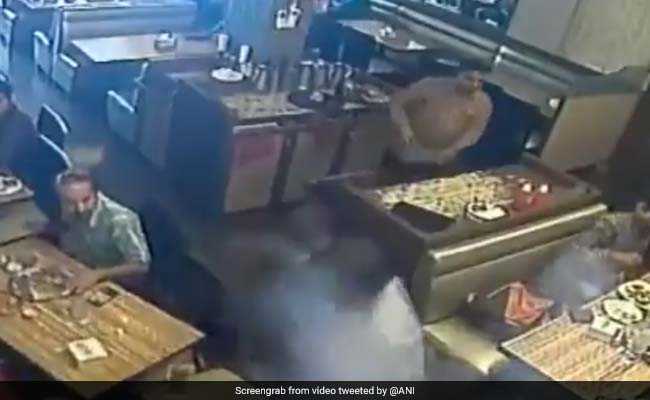 In a shocking incident, a phone exploded in a man's pocket while he was having lunch in a Mumbai restaurant in Bhandup area. In a CCTV footage recorded on June 4, the man can be seen jumping off his seat, throwing away the phone from his shirt's front pocket as fumes come out from his phone and spread in the restaurant. Struck by panic, other people in the restaurant can be seen running out from the place. The man sustained minor injuries due to phone explosion and was later admitted to the hospital. Earlier in March, a teenager died in Kheriakani district in Odisha while using a phone. The teenager was on call with a relative while the phone was plugged in for charged and reportedly exploded. The 18-year-old victim had suffered injuries to her hand, chest, and leg, and was taken to a local hospital where she succumbed to these injuries.